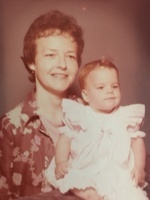 Provide comfort for the family of Charlene Brown with a meaningful gesture of sympathy. Sparta, TN...... Charlene Brown was born Tuesday, May 4, 1943 in Dalton, Georgia, to Cora Frances and Charles Edward Skipper. Her father, Charles, died in combat in WWII. When Charlene was 4, her mother married George S. Jones from Shelbyville, TN, who would fulfill the role of father perfectly. Charlene spent her young life in Shelbyville, graduating from Shelbyville Central High. She attended both Freed-Hardeman and Lipscomb Universities. It was at Lipscomb where she met the love of her life, Fred Thomas Brown. They were married June 5, 1965. She led a full life, loved, and was loved by her children, grandchildren, and great grandchildren. In lieu of flowers, the family requests donations be made to the TTU Child Development Lab, 200 W. 10th Street, Cookeville, TN 38505 in Charlene's memory. great grandchildren - Grayson Koppes, Kyle Koppes, Eleanor Wyatt, and Harper Brown. Mrs. Brown was preceded in death by her mother, Cora Frances Skipper Jones; father, George S. Jones and her father, Charles Skipper, who died in WWII. To send flowers in memory of Charlene Brown, please visit our Heartfelt Sympathies Store. Provide comfort for the family of Charlene Brown by sending flowers. 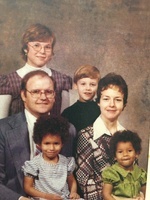 Mrs. Charlene was one of the most virtuous mothers I have known. The root of her heart, grounded in love, was available for all to see. Her respect for mankind was observable to everyone, including those who did not know her personally. I thank my God for every remembrance of her - a remembrance clearly shown through her husband, children and family. I gratefully enjoyed and continue to enjoy other of Charlene traits, namely her artistic abilities. Charlene creatively engaged in producing her skills and talents, from cooking to wearable art (scarves). Thanks for including me in your life of giving, Charlene. Thank you, Lord, for the gift of knowing and learning from Charlene. She gave the blessings you bestowed upon her to enrich the lives of others. Truly Charlene was a woman blessed to be a blessing. To Bro. Fred, children and family, thank you for sharing Charlene's love. May God's grace and peace rest upon you.